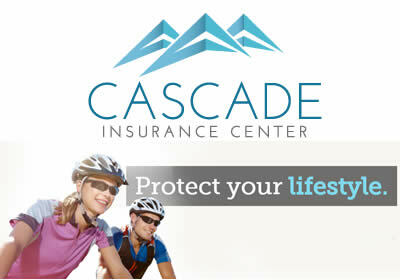 Cascade Insurance Center offers all lines of insurance including: auto, home, RV, business, workers compensation, bonding, and health. Arbor Mortgage Group offers Manufactured Home/Land packages, Jumbo loans, Adjustable Rate Mortgages, Low down payment loans and more. 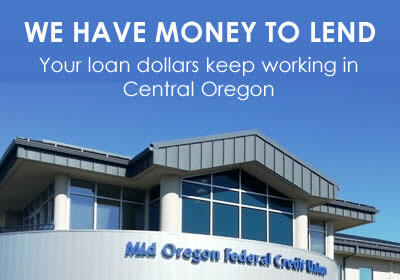 Mid Oregon Financial Services provides retirement planning, financial guidance, Long Term Care Insurance, 401(k) Planning, and Life Insurance Planning. Mid Oregon Federal Credit Union has teamed up with TurboTax to save you up to $15 on TurboTax Federal products. Credit union members can receive exclusive benefits and discounts through the Love My Credit Union Rewards program.